If you're stuck in an environment where you're migrating from ASP.NET MVC to ASP.NET WebForms it's good to know that you can actually render your existing WebForms-Controls in you MVC-views. This might sound like a crazy thing to do (and it is in the long run!) but it might be useful if you're stuck between sprints and have perfectly working WebForms-Controls (.ascx-files) that you don't have time to migrate right now. All you have to do is use the HtmlHelper's helper-method .RenderPartial(string partialViewName) and pass it the path to the WebForms-Control. It's important that your controls inherits from System.Web.Mvc.ViewUserControl and NOT the old System.Web.UI.UserControl. One performance-tip that is often mentioned around ASP.NET MVC is to deactivate the WebForms-View Engine for MVC Razor-views (which actually turns out to maybe not make such a big difference after all). 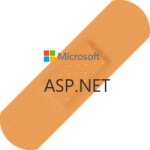 This will not prevent .aspx, .ascx and other WebForms-files from working. But you still want your .ascx-files to work inline in your MVC Razor-views. This can be achieved by implementing your own class that inherits RazorViewEngine, which only uses the WebFormViewEngine when actually needed.